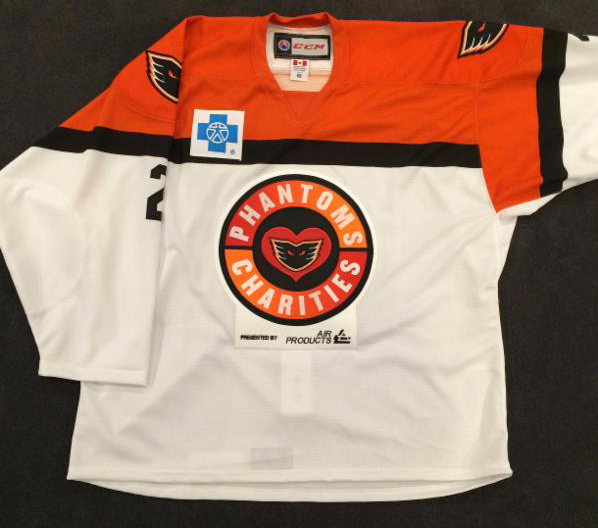 First, the roster has undergone a few changes since we last saw our Phantoms. Leading scorer and Kram-favorite Nick Cousins is up with the Flyers and looking good. Brandon Manning, who had been with the Flyers, was returned to the Phantoms and should be starting tonight in Hartford. Forward Blair Jones, who has been out with an injured groin since January 16th, should be available this weekend as well. He’s been practicing on a line with Zach Stortini and Taylor Leier. Center/Right Wing Cole Bardreau, who signed an entry-level contract with the Flyers for the 2015-2016 season, has finished his season at Cornell University, and will join the Phantoms on a “ATO” contract for now. “Barsy” has been skating with Darroll Powe and Petr Straka, according to reports, and will be wearing number 9. Hopefully, that’s more good news, as Straka has missed some time with an injured hand/wrist after taking a slapper there in the last home stand. Lamarche will return to Reading. The Phantoms will be in Hartford tonight to face off against the Wolfpack, a team on the other side of the playoff bubble. Saturday, the team will make it’s final visit to Worcester–barring some kind of playoff miracle–before returning home for Sunday’s tilt against the Baby Pens. Worcester is also ahead of us in the standing, although not by much. To follow the action, you can purchase the AHL-Live package to watch online, or listen to Bob Rotruck on the radio call either via AM-1470 Phantoms Phlagship, or online at PhantomsHockey.com, or via the IHeartRadio app on your phone. To follow along on Twitter, beat writer Tony Androckitis will be live on site in Hartford and Worcester this weekend. Follow him at @TonyAndrock_TCG . As always, I’ll have a massive “Hockey Night” post up first thing Sunday morning. This will be our first Sunday game in Allentown. Puck drop will be 5:05PM. I have no idea what time you’ll need to get to Chickie’s to get a seat, but there will be hockey sticks (above) for the Kiddos on entry, and special jerseys for auction following the game (below).